Both Families. “If I do a ceremony by myself, I like to use the unity candle. I ask the mothers to come up, saying, ‘Let’s honor the mothers of the bride and groom,’ or I ask for a representative of the bride and groom to light the candle, and hand it to the couple, acknowledging that now they are one family." 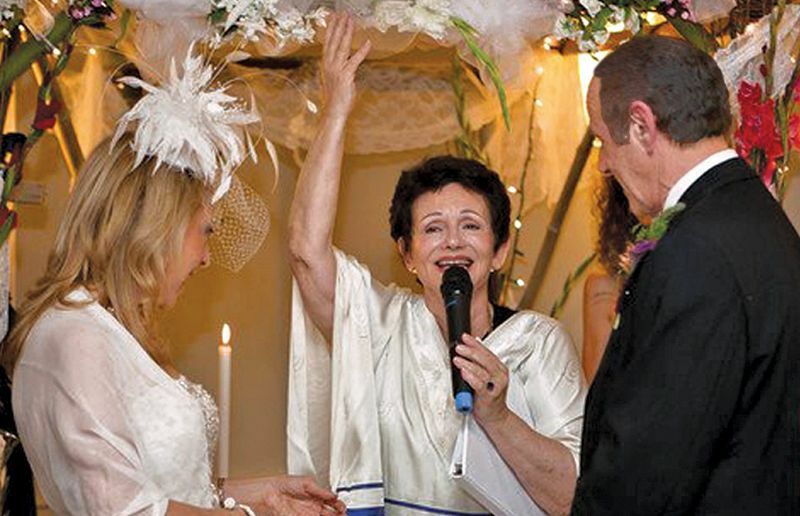 “I love uniting brides and grooms of different faiths in love and joy,” says Cantor Judith Steel, an interfaith minister who was inspired by her background as a hidden child in France, during the Holocaust. “Living with a Catholic family in France, who saved my life, inspired me to bring the essence of love into my wedding ceremonies. 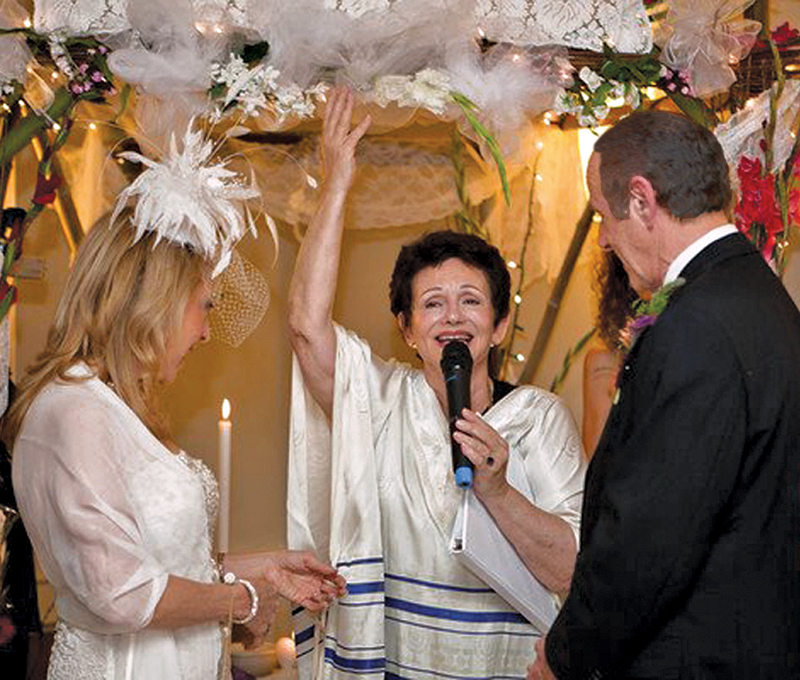 “I’ve done traditional Jewish and interfaith weddings by myself, and I’ve done interfaith weddings with priests, pastors, and ministers of different denominations. I interact with both bridal families to make it harmonious for all.” She meets with her couples as often as needed. 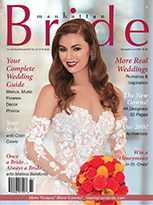 “Together, we create a ceremony that is unique and joyful. To individualize each ceremony, during our first meeting I present a basic format. Then we keep in touch and personalize it. “If I do a ceremony by myself, I like to use the unity candle. I ask the mothers to come up, saying, ‘Let’s honor the mothers of the bride and groom,’ or I ask for a representative of the bride and groom to light the candle, and hand it to the couple, acknowledging that now they are one family. Cantor Judith is cantor of the New Synagogue and assistant to the senior rabbi, Dr. Joseph H. Gelberman. An ordained interfaith minister, she’s on staff of the Allfaiths Seminary International. 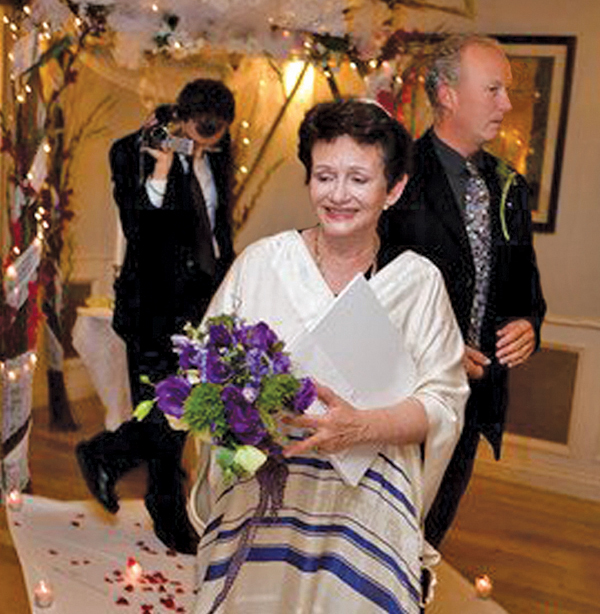 A student of Kabbalah for many years, she received her Master of Divinity in 2000.